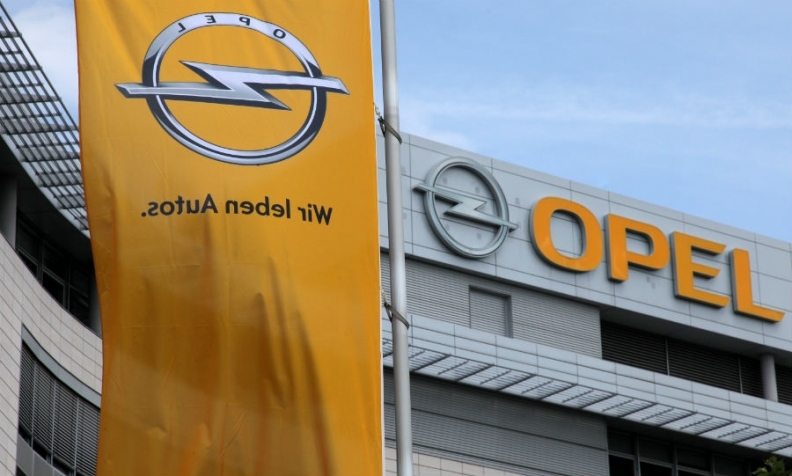 FRANKFURT -- Opel has suspended voluntary buyouts after staff representatives warned that a wave of departures following PSA Group's takeover could leave it short of skilled workers. Staff buyouts were halted earlier this week until talks can be held between Opel's management and the company's works council at the end of May, the company told Reuters on Friday. Several senior staff have left in recent months, in the wake of PSA's acquisition of the brand from General Motors for $2.6 billion last year. Some key engineers have gone to rivals including BMW and supplier Continental as well as Jaguar Land Rover. PSA is looking to cut 3,700 Opel staff in Germany by 2020 as part of a turnaround plan, including buyouts and early retirements. But labor representatives, led by works council chief Wolfgang Schaefer-Klug, have urged PSA to halt voluntary departures, saying this risks jeopardising expertise in key areas. The dispute underlines the quandary facing PSA, the maker of Peugeot and Citroen cars: it must make deep cuts to increase efficiency at a brand that has been loss-making for 20 years, without losing the expertise it is counting on to bring success. When PSA bought Opel from GM, CEO Carlos Tavares said its German engineering prowess would help attract new customers who may otherwise be reluctant to splash out on a French car. PSA referred a request for comment to Opel. When asked if the staff departures risked undermining the brand's engineering expertise, an Opel spokeswoman said: "In Germany, we are relying on voluntary job reduction programs and are refraining from forced lay offs. In doing so, we ensure that all key positions remain filled and all areas stay functional in a streamlined organization." Opel management declined to give any detailed numbers on staff departures. The company, which launched the buyout scheme in March, acknowledged concerns about the departures in an internal memo sent to staff at the end of last month, and seen by Reuters. "Claims that we are facing a 'mass exodus' of high performers and that the work can no longer be done are an old wives' tale," Opel's Human Resources said in the note. The memo said Opel had received around 1,000 applications for voluntary redundancy out of the company's total 19,000 staff in Germany. The Opel works council did not respond to requests for comment. Tavares has pledged to engineer a similar turnaround as he did at PSA. After losing more than 7.3 billion euros ($8.7 billion) in two years, the French group implemented a new strategy in 2014 that involved cutting labor costs, excess plant capacity product lines. PSA is now Europe's second-biggest automaker by sales after Volkswagen Group. However Tavares faces a different set of challenges with Opel. While German cars are in high demand across the world, the brand has struggled to win customers in the face of fierce competition from big names such a VW, BMW and Daimler. A senior executive who left Opel in autumn last year said 25 percent of management had to be cut to reduce costs. Two senior engineers who left in March said departures had severely weakened the company in the field of designing vehicle platforms for small and medium-sized passenger cars. The three former workers declined to be named, saying they didn't want to compromise early-retirement benefits or breach the terms of their departure. A chief engineer for Opel's flagship Insignia model, Andreas Zipser, who appeared on the car's promotional video last year, left in March after more than 25 years at Opel. He is now the head of engineering at Veritas, an automotive engineering firm, his LinkedIn profile shows. Eggord Thomaschky, Opel's chief vehicle engineer until last year, moved to BMW's Engineering and Vehicle Dynamics division in December, according to her LinkedIn profile. Ralf Hannappel, Opel's former director of electrified vehicles, is now chief engineer at Jaguar Land Rover, according to LinkedIn. Florian Koch, now a function lead engineer for Advanced Driver Assistance Systems (ADAS) at automotive supplier Continental, was a project leader for Infotainment systems at Opel until last month, his profile shows. Senior staff with years of experience have been among the quickest to depart, some tempted by early-retirement packages and "speed bonuses" that encouraged quick exits. "It was a lucrative and an attractive offer," said an engineer who left in March with a senior leave package that gives him 75 percent of his previous salary for two years before retirement terms kicked in. Another engineer who left in March said: "You call people and they tell you: I am leaving in two weeks. The last weeks for me there, I was at farewells every day."